Not all the “box of the month” clubs have found success, but one that took a slightly differentiated route – full-sized products, shipped quarterly – has bootstrapped its way to $15 million in annual revenue, investors tell us, and has recently taken in its first outside capital. FabFitFun, a women’s lifestyle subscription box company, is announcing that it’s raised $3.5 million in funding led by New Enterprise Associates and Upfront Ventures in order to continue to grow its business. The funding was finalized earlier this year, but the company is only disclosing the investment now. Founded in 2010 by brothers and “co-CEO’s” Daniel and Michael Broukhim along with editor-in-chief Katie Kitchens, FabFitFun grew out of the company’s roots as an online magazine. The brothers both have backgrounds in the tech industry, as Daniel left the hedge fund world to work at startup incubator Slingshot labs and digital agency Charlie. Mike, meanwhile, also worked at Beachmint and Charlie. And FabFitFun was actually launched out of Charlie, as it turns out. Around 2012, the team realized they needed to evolve in order to stay relevant as a media company and looked to other companies in their space, including Thrillist, for inspiration on how to develop a complementary commerce business. 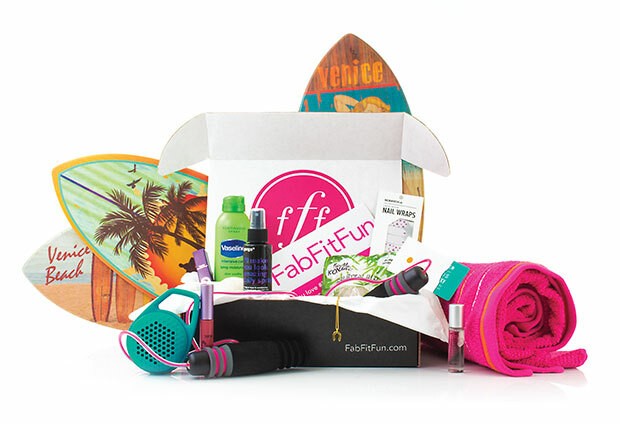 The team then launched the FabFitFun box, which is a box of products shipped each quarter for $49.99. Unlike many of the box-of-the-month services on the market, which focus on a single niche – like Birchbox does with beauty, for instance – the FabFitFun box features products from a variety of categories, including beauty, fashion, food, wellness, technology, and home. Each box contains 8 to 12 products – or over $200 worth of product for $49.99. To give you an idea of a box’s contents, the fall 2015 box includes a beaded bracelet, workout DVD, facial mask, umbrella, skin cream, battery pack, lipstick, gift cards to a couple of retailers, a Crest 3D whitening kit, and a purse charm. So yeah, it’s basically the “swag” bag subscription service. To make the business model profitable, FabFitFun gets products at or below production costs, or for free from brands looking for exposure. Some CPG (consumer packaged goods) companies including Vaseline and Crest have also run paid campaigns on the platform. In addition to the boxes, FabFitFun still maintains a media business and publishes 5 to 10 pieces of original content per day, including a newsletter and content for social media. Daniel says that FabFitFun now has over 1 million members on its platform, and the company has grown to a team of 35+. However, the founder wouldn’t comment on how many boxes it has shipped to date, or its churn rate – factors that could paint a better picture of the business, and in particular, whether customers felt the boxes were something they wanted to continue to receive over long periods of time. In addition to NEA and Upfront Ventures, others participating in the round include Rachel Zoe Ventures, 500 Startups, Simon Ventures, Draft Ventures, Josh Kushner, Joe Green, Eytan Elbaz, and Bill Woodward, among others. In time, Daniel says FabFitFun wants to better personalize its boxes to users, something it may be able to do thanks to its use of consumer surveying which is also used to power its merchandising decisions. The end goal is to offer these personalized boxes that are “perfect for each individual consumer while having them make little to no choices,” he says.